The diary of the 17th Earl of Derby, once thought to have been lost, provides a detailed and important account of the last months of the First World War as seen through the eyes of the British Ambassador in Paris. Derby was in many ways an unlikely choice as ambassador. He was not a diplomat and could not, on his arrival, speak French. His appointment owed much to Lloyd George’s determination to remove him from his previous post as Secretary of State for War. But, after a somewhat uncertain start, he proved to be a very successful ambassador upon whom successive Foreign Secretaries, Arthur Balfour and Lord Curzon, relied heavily for their appreciation of the situation on the other side of the Channel. Derby took up his appointment at a crucial period of the war when military victory still seemed some way off. He became an assiduous collector of information which he dictated into his diary on a daily basis. Derby’s embassy became renowned for its lavish hospitality. But this was far from being self-indulgence, for he firmly believed that entertaining was the best way to win the confidence of his French associates and therefore to obtain information that would be of use in London. 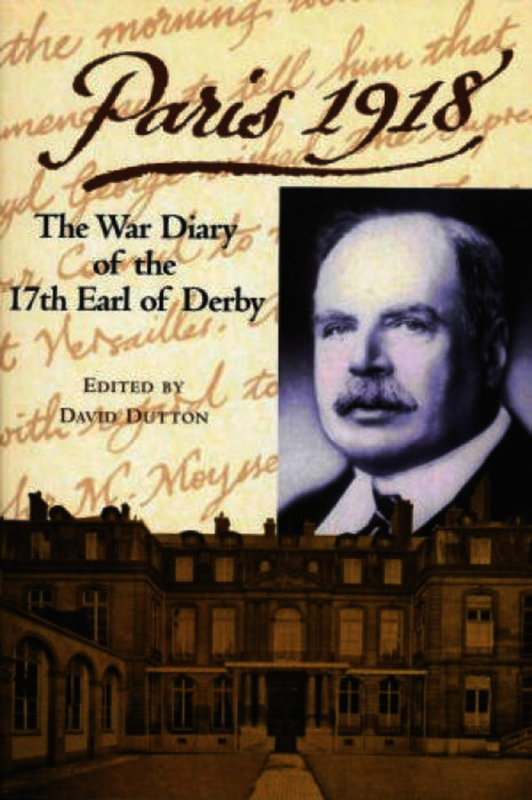 Derby’s diary provides important insights into the state of the war, the often strained relationship between Britain and France and the intrigues of French domestic politics.